Pay For Your College Education With Grants! To apply for any of the federal and state grants listed above, students must fill out a Free Application for Federal Student Aid, or FAFSA. The Department of Education begins accepting FAFSA applications on January 1st of each year, and the deadline to apply is March 1st. The FAFSA application can be found here. Each grant is awarded on a first-come, first-served basis, so it is important to apply as soon as possible. Beyond submitting a FAFSA, each grant requires students to meet additional criteria, as specified below. As the most prevalent federal grant awarded to college students, the Pell Grant provides financial assistance to undergraduates who could not otherwise afford to attend college or university. Most students who qualify for this grant come from households with incomes below $20,000 per year. These low-income students may receive up to $5,500 per academic year. In order to continue to receive Pell Grant funds, students must maintain satisfactory academic progress. The amount of the grant depends on financial need factors including length of attendance, tuition costs, enrollment status and expected family contribution. Be an American citizen or an eligible non-citizen. Be an enrolled undergraduate student. Do not currently possess a bachelor’s or graduate degree. Note that students may only receive Pell Grant funds from one institution at a time. The Pell Grant application deadline is June 30. The Academic Competitiveness Grant requires students to demonstrate financial need and complete a “rigorous” secondary education program, as defined by the United States Department of Education. This grant can pay for up to $750 of a student’s expenses during the first year of college. Additionally, the student may receive up to $1,300 in grant funds during the second year. Complete a rigorous high school program as defined by the Department of Education. Be an enrolled first- or second-year undergraduate student. Be simultaneously qualified for the Pell Grant (see above). Maintain a cumulative GPA of at least 3.0 through the end of the first academic year. In Idaho, students can choose from three options which qualify as “rigorous” courses of secondary study. The first eligibility option requires students to complete a set of courses similar to the State Scholars Initiative. This includes passing grades in four years of English, three years of mathematics, three years of science, three years of social studies, and one year of a language other than English. For the second eligibility option, students must take a minimum of two Advanced Placement (AP) or International Baccalaureate (IB) courses and receive passing scores on the exams for those courses. For the third, students must complete the Idaho College Admission Core. This includes four years of English, three years of mathematics, three years of science and two and one half years of social studies. The requirement also includes one year of foreign language or humanities, including history courses taken beyond the previous criterion, and one and one half years of a foreign language taken beyond those counted towards the previous criteria. The National Science and Mathematics Access to Retain Talent Grant, or SMART Grant, provides additional funding for undergraduate students in their junior and senior years. This grant is a supplement to the Pell Grant funds. The SMART Grant’s stated purpose is to encourage students to select majors which are “critical to national security.” These majors include mathematics, the sciences, engineering and other technology-related majors and, somewhat counterintuitively, foreign languages. Students who qualify for this grant may receive up to $4,000 in aid per academic year. In order to qualify, students must demonstrate satisfactory progress towards their majors’ requirements each term. Be eligible for a Pell Grant (see above). Be pursuing a four-year degree in an eligible major. Be enrolled at least half time as a third- or fourth-year bachelor’s degree student. Have maintained at least a 3.0 cumulative GPA throughout the program. The Federal Supplemental Educational Opportunity Grant provides funds for undergraduate and vocational students. This grant’s purpose is to target students with a significant amount of financial need and provide supplemental funding for the Pell Grant. Grant awards depend on three factors: the student’s “exceptional” financial need, the amount of financial aid the student already receives, and the amount of funds available at the student’s institution. Awards through this grant can be up to $4,000. Have maintained at least a 2.0 cumulative GPA. Do not currently possess a bachelor’s degree. Have not defaulted on any federal student loan. Do not have an overpayment on an existing Pell Grant. Have never defaulted on any student loan. Do not currently owe any repayment of grants. The state-sponsored Leveraging Educational Assistance Partnership, or LEAP, program aims to attract out-of-state students to Idaho colleges and universities. Both public and private college students can qualify for this grant. Previously called the Idaho State Student Incentive Grant, the Leveraging Educational Assistance Partnership grant targets students from any state. Students who demonstrate substantial financial need can qualify for a grant of up to $5,000. Be enrolled in a public or private college or university in Idaho. Be at least a part-time student enrolled in nine or more hours. Not currently be in default on a student loan. The application deadline for this grant is April 29. The Supplemental Leveraging Educational Assistance Partnership Grant, or SLEAP, provides funds that directly supplement grants from the LEAP program. In order to be eligible for this grant, a student must meet the LEAP criteria (see above) and be receiving a LEAP award. These supplemental funds increase the student’s LEAP award directly. The Teacher Education Assistance for College and Higher Education Grant, or TEACH Grant, provides assistance to students who wish to pursue a career in teaching. If enrolled as full-time students, eligible applicants may receive up to $4,000 in grant money per academic year. Undergraduate students who are enrolled in a teaching credential program may receive up to $16,000, while graduate students enrolled in teaching credential programs may receive up to $8,000. Students who wish to receive TEACH Grant funds must attend mandatory initial and subsequent counseling. This counseling gives applicants comprehensive information about the program itself, as well as their responsibilities and obligations as part of the program. All students who receive TEACH grant funds must sign an Agreement to Service, which requires them to teach full-time for at least four years. This teaching obligation must be fulfilled at a school serving low-income students. Recipients may teach at the elementary or secondary level in either public or private schools. This agreement must be fulfilled within eight years of graduation. Be enrolled as an undergraduate or graduate student in a teaching certification program. Have maintained at least a cumulative 3.25 GPA. Complete TEACH counseling sessions and sign the Agreement to Service. Applications for this grant must be submitted by April. The Education Incentive Loan Forgiveness Program provides funds for Idaho high school graduates who wish to pursue a career in education or professional nursing. In order to receive Education Incentive Loan Forgiveness Program funds, students must agree to pursue a career in education or nursing for at least two years following graduation. Be an Idaho student or an Idaho high school graduate. Be enrolled full-time as an undergraduate at an Idaho college or university. Be in the top 15 percent of their graduating class. Maintain at least a 3.0 GPA during the first two semesters of study. Pursue a teaching or nursing career for at least two years following graduation. Students must apply for this grant within two years of high school graduation. The Idaho Opportunity Scholarship program is a last dollars mechanism. In other words, it provides for a student’s remaining costs once the student is already receiving federal aid and has an expected family contribution and/or self contribution. 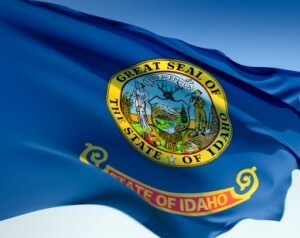 Be an Idaho high school graduate or hold a GED granted in Idaho. Have accepted all available federal grant aid. Be enrolled as a full-time undergraduate at an Idaho college or university. Furthermore, Idaho high school graduates must have at least a 3.0 high school GPA. For GED holders, the Board of Education determines academic eligibility based on the student’s ACT score. For currently enrolled college students, the Board of Education determines academic eligibility by appropriately weighting the student’s secondary and post-secondary GPA. Students may apply for this scholarship between November 15 and March 1. For more information, visit the Idaho Opportunity Scholarship webpage.